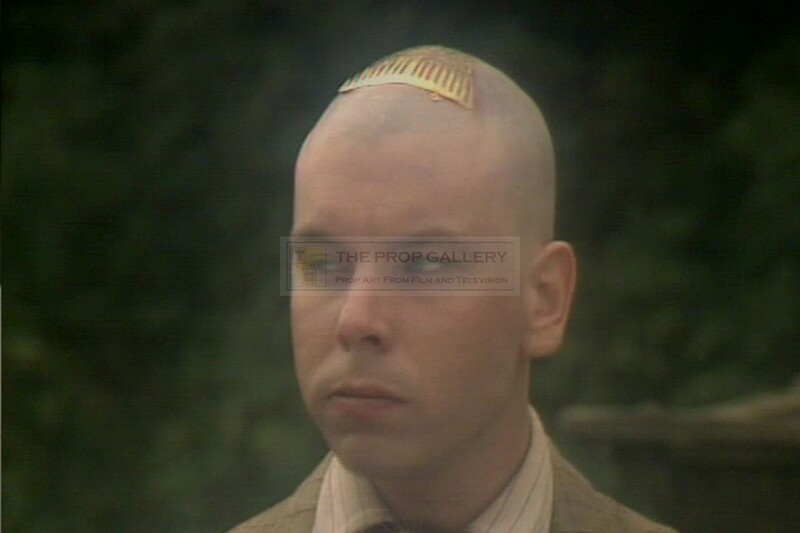 An original prop used in the production of The Tripods, the 1984 BBC science fiction series based on the novels by John Christopher. 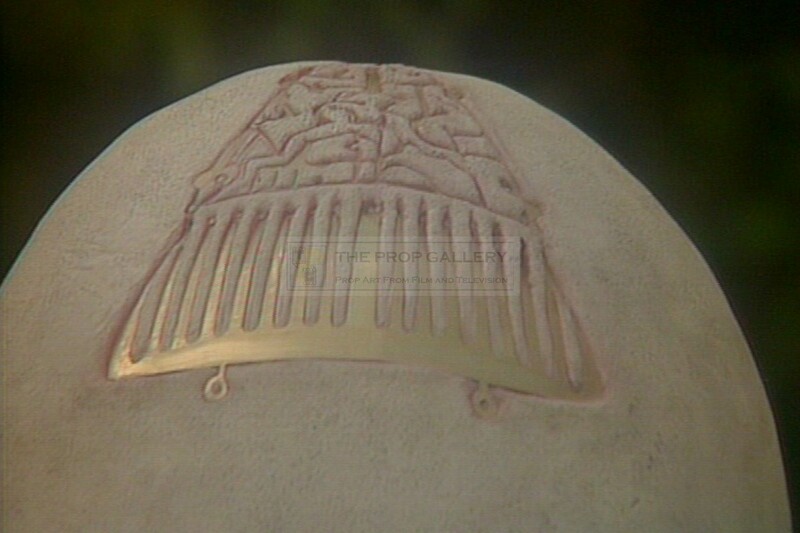 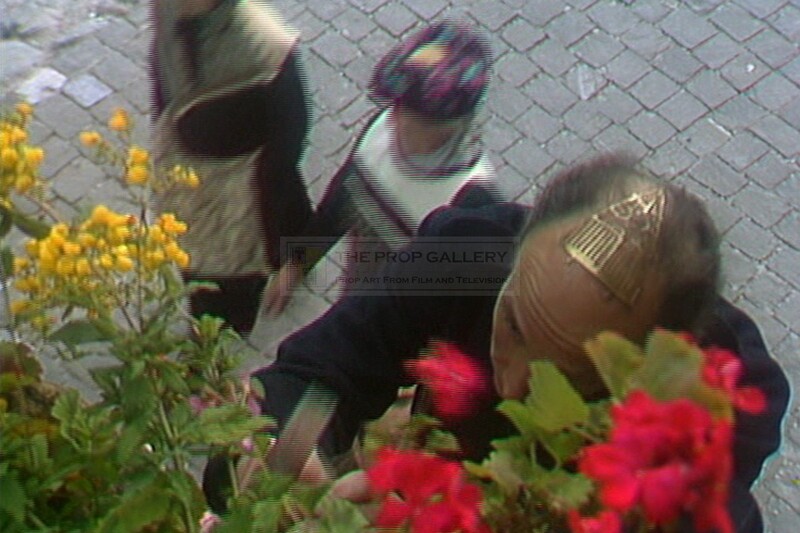 This is an original cap as applied during the capping ceremonies being fused to the scalps of humans allowing the Masters to control the minds of the population, a central plot device which features throughout the series the likeness of the cap can also be seen in the title sequence. 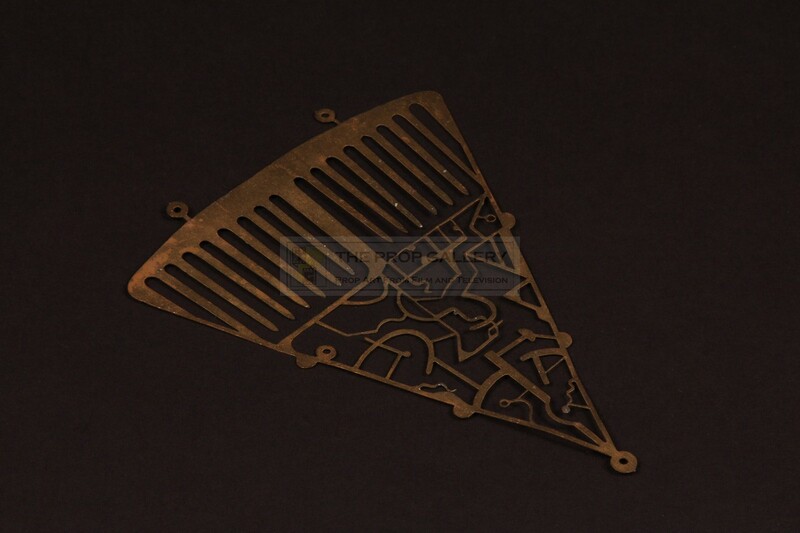 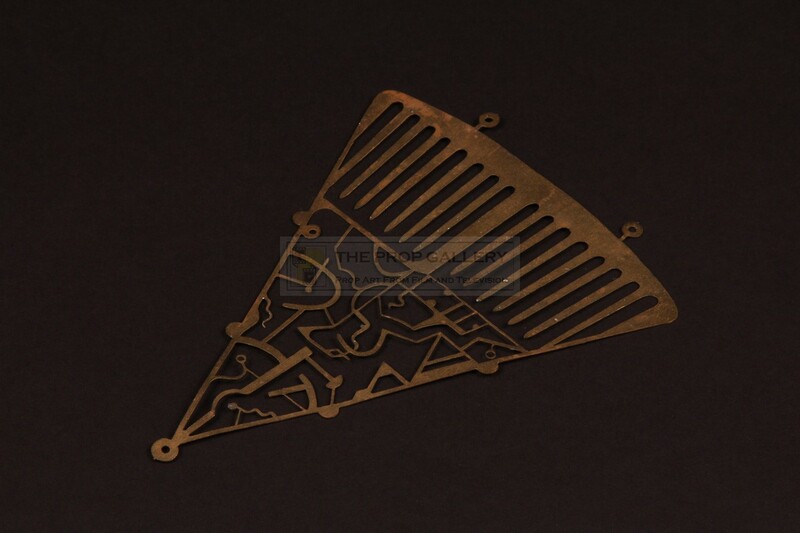 The custom made triangular shaped cap is constructed from thin acid etched brass to offer some flexibility and features an intricate and extremely complex pattern. 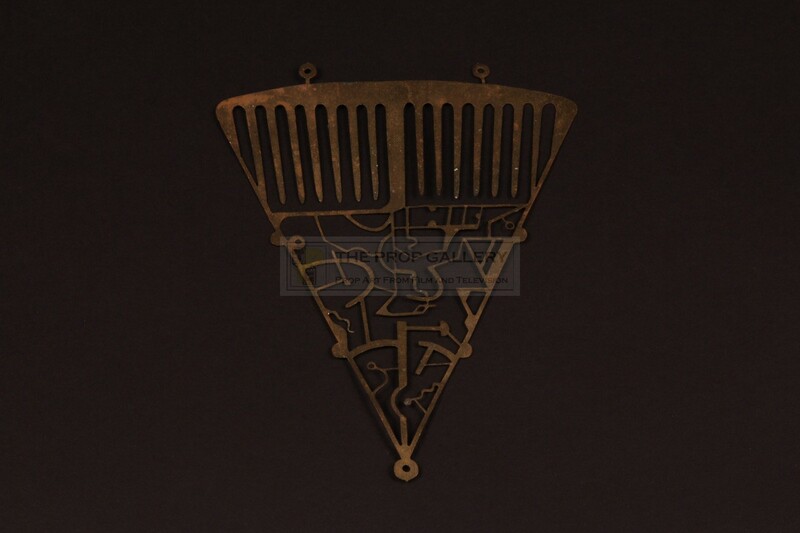 The cap measures approximately 4.75" on the longest sides and remains in remarkable condition throughout with only minor bending and light tarnishing having been carefully stored since the production, exceptionally fine. 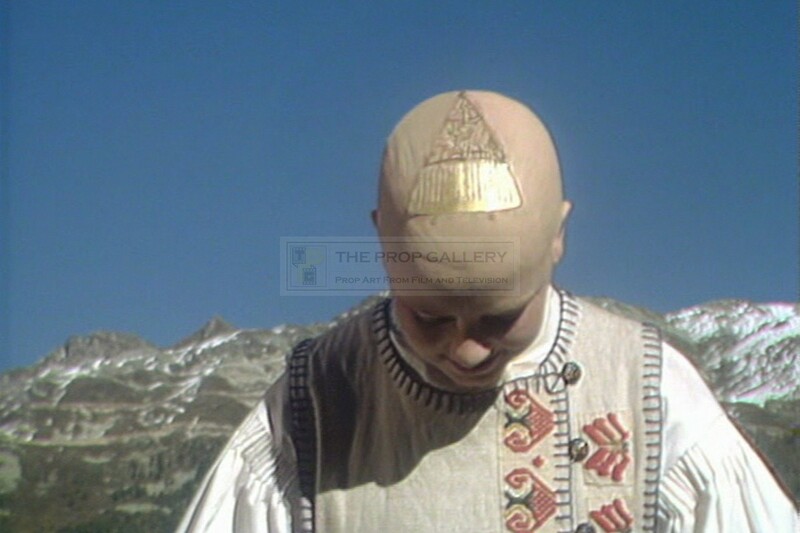 Original material from The Tripods is extraordinarily rare and this represents the only cap ever handled by The Prop Gallery. 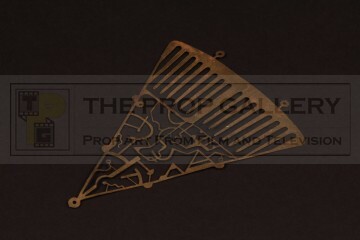 An incredibly rare and instantly recognisable artefact from this cult science fiction series.